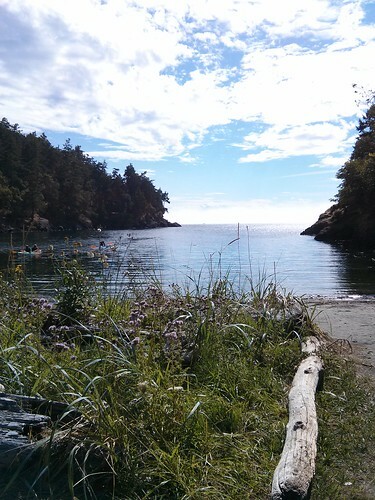 Mali Mish – Day 18: Ditching the Airstreams for San Juan Island. Fortunately, we were there early enough so getting on the boat was not that big of a deal. What was a bummer was that the van with the roof-top Yakima box pushed us over the height limit for the standard vehicle fare. We had to pay nearly double the price to haul about 50 bucks worth of dirty camping gear with us that we will probably not use. 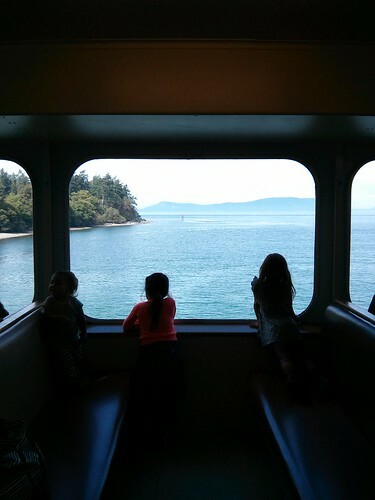 The ferry ride to Friday Harbor was very pleasant. Being in the sound, there is hardly any turbulence in the water or wind. 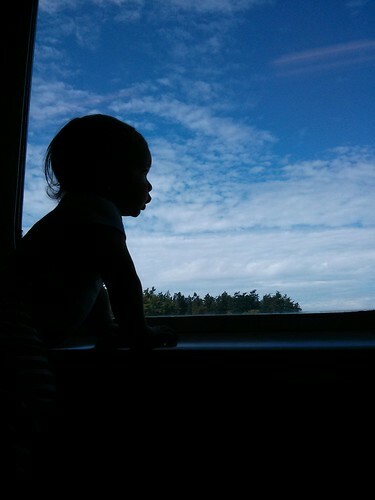 With so many islands along the way, the kids just stared out of the window the entire way. While we were waiting at the ferry terminal in Anacortes, Josh was asked to bring some wild squirrels to Friday Harbor by a lady. I thought he was joking when he told me but when I walked over to their truck, there was a pet carrier with wild squirrels in them. I forgot to take pictures of them but apparently these were injured or abandoned babies that needed to be rehabbed. There just happens to be a wild life rehab facility on San Juan Island and this is how many of their animals get rides to and fro. 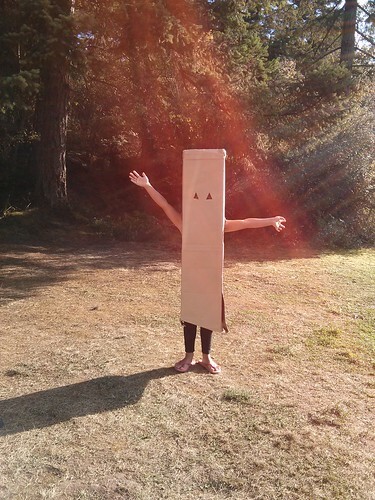 When we got to Friday Harbor, we began looking for a place to set up camp on the island. 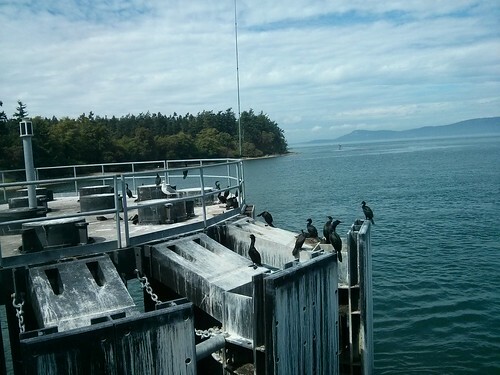 We had just taken a gamble without reservations and came across to the island. Of all the nights we have spent camping around the country, we had yet to have problems finding a place to settle for the night. After calling and visiting nearly all of the campgrounds on the island, we were starting to think that our streak was coming to an end and we might just be taking the late ferry back to Anacortes. Our last shot was Lakedale Resort. We stopped in with fingers crossed hoping for the best and were granted a single night. It was a close one but we are not out of the woods yet. We will settle here tonight but tomorrow is looking pretty grim for places to stay. 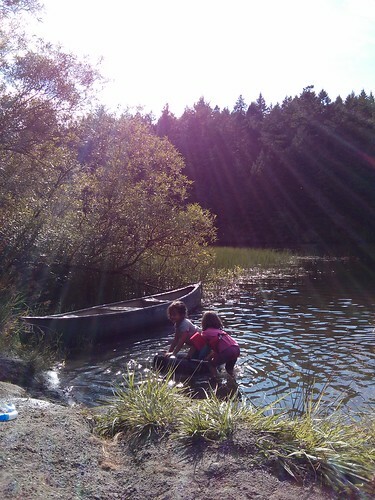 Just across the field from our campsite was a perfect little cove of the lake and the kids wasted no time getting into their swimming gear and headed in. 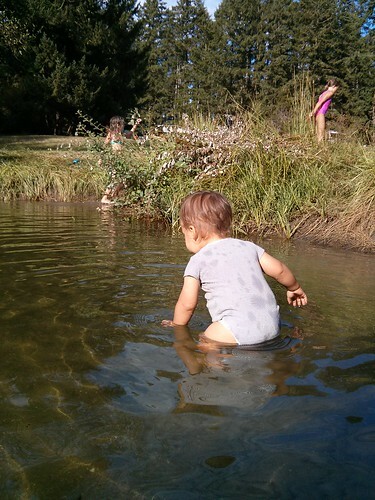 Luka did not have swim trunks but that did not stop him. Onesie it is. 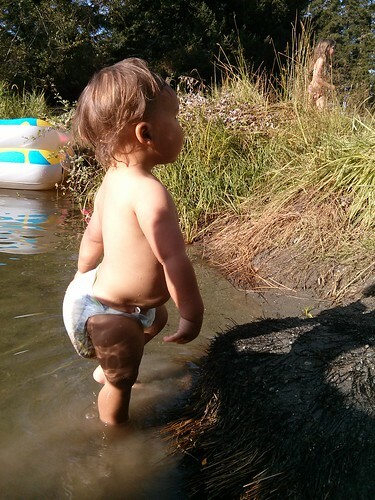 Don’t worry, that is lake water soaking up his diaper. 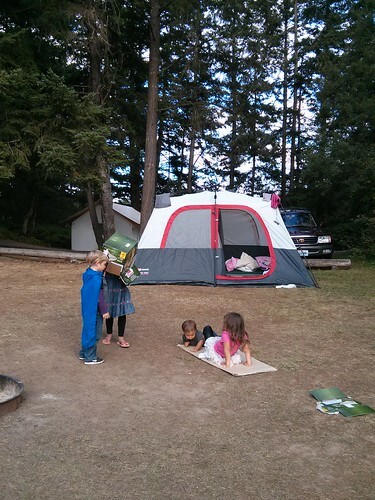 The girls had been looking forward to camping in our new tent. We bought a new one back in Astoria thinking that we might just explore sans Airstream some day soon and today is it. 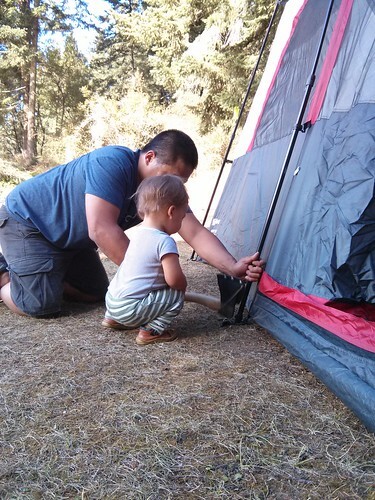 The massive 10×12 Coleman tent isn’t much smaller than the Mish. 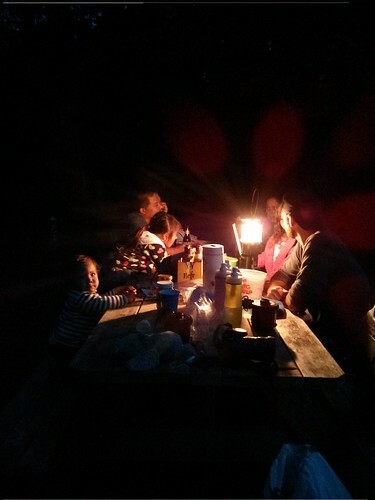 Tonight we sit around the picnic table with no computers, no generators and no electricity. Just a campfire meal and good friends.